Posts categorized "Team Charity Projects"
So excited to announce the date of our special Honor Flight event. Area Stampin' Up demonstrators are getting together on Monday, June 11th, 2018, to work on 100 cards for our Song of My Heart team service project, Badger Honor Flights.This is all volunteer effort, with donated supplies, designs and handiwork. Every year, under the amazing leadership of fellow demonstrator Kathy Van Duser, our team creates hundreds of cards to cover the "Mail Call" on every flight from Madison and Milwaukee. We started this to be a blessing to our American veterans, but it has ended up being a HUGE blessing to US instead. How lovely that we can use our cardmaking skills to make such a difference! Would you like to join us? Please RSVP to Lyssa@songofmyheartstampers.com The event runs from 6:30 to 8:30 and is held in Watertown, WI. You do not have to bring anything but yourself--volunteers will be bringing cards for us to make and I provide adhesive. Not local but want to help? You can contribute to the cause by sending finished patriotic thank you cards, OR cardstock for cardbases. We also use a lot of adhesive. We do not need envelopes or postage as these are hand-delivered to the servicemen and women right on the plane. Email me for my address! I also encourage you to get involved in Honor Flight in your home area, whether it's to make cards, be a greeter at the airport, or a companion to one of the veterans on the trip itself. Have a loved one touched by this amazing program? Leave a comment below! The stories keep us all inspired. My team has participated in a lot of very worthy service projects over the last few years. I never cease to be amazed at how giving Stampin' Up demonstrators are, whether it's time or supplies, or even donate cash for shipping or postage stamps. It's such a privilege for me to watch them brainstorm ways to give even more, and go the extra mile. And the delight with which they jump on the latest project is so fun to see. We've enjoyed helping all the great causes and charities we've worked with, but Wisconsin's Badger Honor Flight is special. I think because it affects us all. Whether our loved one is able to be the honoree on one of these special trips, or whether we wished they were still around today to see how America can rise up and honor her soldiers, it's personal. My grandfathers died before this program existed, and my step-grandpa is in too fragile of health to go, but when I see those men receiving their due from a grateful nation, I see Robert Griffin Sr. and Sidney Bohren and Carl Collea and my heart breaks with love and pride. I see their wives, Helen Griffin, Norinne Bohren and Grace Collea, whose hardest battles were fought after the war was "over" and the soldier came home to her arms. And I see the best of us. The America I hope we can be again. So many of us don't think we have anything to give. Well, yes, I can make cards. But- "It's just a card." Fact is, "just a card" is so often all that's needed. Ask that soldier there in the wheelchair with the Mail Call packet on his lap. Ask him what he eyes were too blurry to read on the plane, but that will be read and lingered over many, many times in the days and weeks to come as he recalls the day the nation thanked HIM. Ask him about the day a total stranger prayed a blessing over him with the work of her hands and with the words of her heart. Ask him the power of a card. Last weekend a dear demonstrator friend of mine from Arizona was here in Wisconsin for a health conference, and we squeezed in a grand time around her schedule. We only had ONE shot at having a stamp time together, so rather than just putz around unproductively in proximity to each other, I asked her if it was ok if we worked on Honor Flight cards for my team's service project this month. She was delighted! And I am happy to report that not only did we get my goal of 20 cards finished, we doubled that and managed to get 40 done! I wanted to share the designs for these cards in case any of you are looking for easy patriotic layouts. 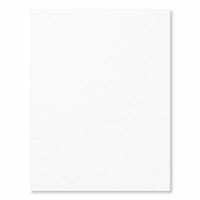 Just a reminder, if you are making cards for the military, they absolutely cannot have ANY glitter, glitter paper, glitter washi tape, glitter embossing powder, etc. These cards do not qualify in that regard. But you can swap out the glitter paper punches for regular or foil paper punches. I hope these cards inspire you to thank a veteran! It only takes a few minutes, but will mean the world to someone whose life is completely different because of the sacrifice they gave to their country. Soldiers' wives and mommas would really love a note, too. And if you're part of a fun group of crafters who likes a project, consider Honor Flight--they need tons of cards for every flight! We had so much to celebrate at this month's Song of My Heart Demonstrator gathering, I hardly know where to begin! What a wonderful Sale A Bration 2016 it has been. I wanted to share some of the cute things we saw, the smiling faces of friends, and our very special service project. For three years now, our team has been giving up one of their Make N Takes in order to have time to create cards for a special designated charity or deserving group. It serves as a reminder every single month how much of a difference a card can make, how little time it actually takes to make someone's day, and how much we can accomplish when we all work together. I want to THANK my team for being the kind of people who do this every month without a second thought. It makes me more proud and simultaneously humble than anything else in my entire Stampin' Up career, which has been frankly amazing since day one. Appropriately, Cristy B brought this amazingly fun thank-you card for us all to make at our meeting. Isn't it cute? Here's some of those smiling faces! I didn't catch everyone, but I did make a pretty decent nuisance of myself with my camera. Julie R made adorable nametags for all of us. I appreciate everyone who brings Make N Takes, participates in the swap, does demonstrations, brings snacks, and helps clean up and set up the room. It really does take a village to pull off meetings of this size every month! Our group Stampin' Up service project for the entire year is Badger (Wisconsin) Honor Flights out of Milwaukee. Kathy Van Duser has been our lead for this project, and every month she puts in HOURS of work to make sure we have our pieces cut, prepped and ready to go for the meeting. We have a significant number of cards to assemble and write inside every month, so it's super important that it be organized. Kathy has been completely amazing. We could not do this service project without her outside efforts. This month we honored Kathy with a flower arrangement (NOT red, white and blue--she's probably tired of that combo!) and made a fuss over her. I've nominated her for the Heart of Stampin' Up award, but neither of us is going to convention this year so that's not likely. But I wanted you all to know about my amazing friend Kathy, just an ordinary Stampin' Up demonstrator who knows the power of a card. You know I have to say it... I want YOU on my team by our next gathering. I want you there for your OWN sake, because you'd be having the time of your life, and I want you there for MY sake, too, because I want to meet you and stamp with you and watch you become part of this fabulously inspiring group of women that have gathered together under the Song of My Heart umbrella. Join us at the Crop 4 the Cops! Enjoy a fun day of crafting for a great cause! All proceeds from this event go towards a special appreciation day for the local law enforcement personnel of the Watertown, WI Police Department. Show your support for these hard-working, dedicated men and women who serve and protect our community. Doors open at nine a.m. and close at nine p.m. Come as soon as you can and stay as long as you want! There will be a catered sub sandwich lunch with your choice of ham or turkey, condiments, chips, cookies and bottled beverage. Snacks and bottled water are also provided. Dinner is on your own. The community room is on the lower level of the Bank of Lake Mills' Watertown branch. It is handicap-accessible, warm and spacious, with bright lighting. There will be games and door prizes, plus a silent auction with locally-donated baskets further benefiting our cause! Cost is $45 per person and includes three cute Make N Take projects, lunch & snacks, HUGE swag bag and more! Cash, check and PayPal accepted. Your space is not reserved until payment is confirmed. and help support our police officers. Thanks! This year my SOMH demo team started a new challenge called Make A Difference A Month. We're excited to be using our papercrafting talents for good in our community in 2014! Our first project was completed on Monday night and was headed up by Lori Brausen. She designed these great cards to be given to the workers at a local adult daycare service provider. It tickled our hearts to think of those employees, whose sometimes-thankless jobs really are a labor of compassion "for the least of these," opening a special card thanking them for being that kind of person. Individuals like that truly do make the world a better place. As we made the cards and signed our names, I could just feel the warmth and goodwill in the room. I have a sneaking suspicion we're going to really find out the truth of the verse, "It is more blessed to give than to receive." I want to take a moment to give a heartfelt thank you to the Bank of Lake Mills' Watertown branch for allowing us to use their Community Room for free. They are making a difference in our town as well! If you're aware of a charity or good cause that could use some cards, either as an encouragement or for use in their work, please email me to submit it for consideration for one of our Make A Difference A Month projects. How are you doing with the 100 Cards by Christmas Challenge? Oh yeah, remember that? Click here to see the original challenge. I am happy to say I have donated 125 cards to a nursing home and have 65 ready for the Humane Society here in town. I am cleaning out and using up, and feeling GREAT that these cards are going to a good home where they can be put to use. Here's a recap of the "rules" of the 100 Cards By Christmas Challenge. I hope you'll participate along with me in using your Supplies Accumlated Beyond Life Expectancy (S.A.B.L.E.) to work for a good cause! you can do it alone as a personal challenge or go in together with a friend or group if you're concerned about getting 100 cards created/collected by yourself. start by looking through your own stash--you probably have "a few" made up that would be suitable for the purpose already! be sure to provide envelopes, too--otherwise your donation will be offset by an expense to the charity--nobody wants that. not sure what kinds of cards would be best? Will they be used in the office, or sold as a fundraiser? Contact your charity and ask! I'm excited about this fun way to do some good in my community, and reduce my S.A.B.L.E. at the same time-- and I hope you are, too! Leave a comment and let us know how you're progressing! I have a challenge for you all, if you're willing to accept it! There are so many great causes out there and so many organizations in the world that need our help (I hope you've donated to the typhoon victims or are planning to shortly!). But funds are a bit scarce these days for many of us, and during this time of year, our budgets are tighter than ever. The need never goes away, however--so how can we help? You know, the one that has this warning label on it: Supplies Accumlated Beyond Life Expectancy (S.A.B.L.E.) I have one, and I'd be willing to be you probably do, too! Let's put that guilt-inducing stash to work for a good cause, shall we? So here's the challenge! I'll post periodic reminders, and list the names of the participants in a follow-up post after Christmas. That's it--no prizes--just the joy of creativity and the satisfaction of knowing you are making a difference for your chosen organization. start by looking through your own stash--you probably have a few made up that would be suitable for the purpose already! Like I said, my personal goal is to collect 100 cards for the local Humane Society to use to thank donors and adoptive pet parents, between now and Christmas. I'm excited about this fun way to do some good in my community, and reduce my S.A.B.L.E. at the same time-- and I hope you are, too! Have you thought of an organization who needs your help? Leave a comment below, and let's get started! I'm headed back to good old Wisconsin the next two days, so I've lined up some of the best samples I spotted at Convention 2013 to share with you. 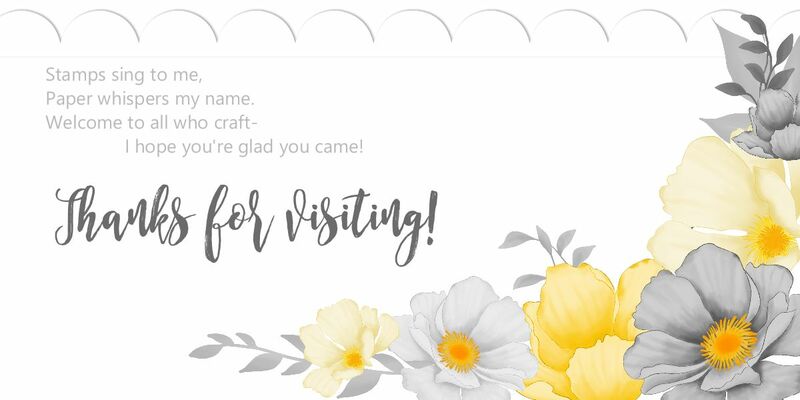 I know the "people" part of convention is always MY favorite thing to hear about, but the stampin' part of it is what really floats YOUR boats! I cannot WAIT to get home and get some of these ideas into practice. Monday is Calendar Club, Tuesday is Create A Card Club, and the 31 Pages in 31 Days challenge begins in just over a week... I'm going to have plenty of excuses to play, play, play the minute I walk in the door! This kleenex box get-well card makes me smile. That's just the new hexagon punch, can you believe it? That kind of punch art is easy enough even for ME : ) And look at this next slider-card cutie!!! Angry Birds are a big hit at my house. I love the cupcake punch topper used as clouds, and the Word Window used for the slingshot. You can click here to view all of Stampin' Up's punches in my shopping site. This card is just perfect... I love the layers of "grass" and the little snipped bits of "dirt." The sun is the Pennant builder punch. The stamp set is called Tag It, and that's our new charity set for the year. Proceeds go to Ronald Mc Donald House. In fact, Ronald himself came by to thank Stampin' Up for our donation. I forget the actual figures, but our little annual stamp set has raised over a million dollars just by itself, not to mention the donations of time and product from local demonstrators. I was really proud to be able to take 50 cards with me to convention to donate on behalf of the Song of My Heart team, collected at our July meeting. Yay team! I was out of swaps by the time this cutie pie came along, but they let me take a picture of it anyway. Isn't he precious? I definitely have to try to attempt this cheerful little guy when I get home. If he turns out, I'll post the punches needed and list any that need to be trimmed. Wish me luck... punch art is not necessarily my forte! This auction has ended. Many Thanks to everyone who participated, and congratulations to Michelle Stark, winner of the complete set of ink pads! Please continue to keep little miss Bella in your prayers and stay informed on her Facebook Page and Caringbridge site. I'd like you to meet my friend Bella! She is an adorable tiny not-quite-nine-year-old who has had quite the journey--may I tell you her story? Born prematurely and weighing only four pounds, Bella was in and out of hospitals all throughout the first six years of her life wth a laundry list of conditions and disorders, enduring eight major surgeries including open heart surgery. Because of multiple medical issues, Bella never learned to eat, and takes in all her nutrition through a g-tube. You can't keep Bella down, though, and she is a fiesty little sister and a sweet and sassy girlfriend with a dazzlin' smile! Sadly, our little fighter friend was ultimately diagnosed with a rare, terminal illness called Fanconi Anemia. FA life expectancy is in the mid twenties due to bone marrow failure and a high incidence of leukemia and other cancers. Bella's mom, my friend and former Stampin' Up team member Stephanie, has dedicated her life to raising funds for Fanconi Anemia research. A tireless fundraiser, Stephanie runs a More Birthdays for Bella Facebook page as well as a CaringBridge site where you can keep updated on Bella's story and read about ways you can help us find answers and ultimately discover a cure for Fanconi Anemia. I wanted to help my little friend Bella, who is the same age as my daughter Natalie. I knew once you'd met Bella you'd want to help out, too, so I'm providing a fun and easy opportunity for you to do so! Highest bidder will win the pads plus free shipping anywhere in the U.S.
Bidding is now over. Congratulations to Michelle Stark, and thank you to everyone who participated in our auction fundraiser! Please note: this post will periodically be pinned to the top of my blog to help spread the word. Please scroll down for more recent posts. Thanks! Ready for some fun this spring? My extended Stampin' Up "family" is throwing a regional stampin' convention for all area demonstrators and their guests in Madison, Wisconsin, April 19-20, 2013! You'll be treated to stamping presentations, motivational talks, business tips and more from ten levels of my uplines and downlines, as well as special guest presenters we're bringing in from other groups! There will be Make N Takes, organized swaps, display boards, and a professional digital photo package is included in the entry fee. Located in the beautiful Crowne Plaza Hotel just off Interstate 90 in Madison, optional activties will begin on Friday, April 19th with a Pajama Party mixer, snacks and games at six p.m. followed by a shoebox swap from seven to ten p.m. Then it's off for a sleepover with the girls if you've booked your room there for the night. Saturday, April 20th, the fun begins at 9:00 a.m. sharp, with presentations on the stage showcasing stamping tecniques, Workshop Wows, business training, and other related topics. Then we'll take a break with fantastically creative Make N Takes before our lunch break from 11:30 am to 1:00 p.m. There are 2 full miles of restaurants along this streatch of East Washington Avenue--something for everyone! Come back to participate in an optional Organized Swap in the Odana Room lobby from approx 1:00 pm to 1:30 pm. Register under options and choose to join one group or two. Afternoon sessions begin at 1:30pm until 3:00pm including more exciting stage presentations--and let us not forget the Prize Patrol! We'll conclude our time together with a Service Project from 3:00pm to approx 4:30pm. We're asking all attendees to bring extra cards or card fronts, and we will be sorting, assembling and packing up these cards which will be donated to several organizations. Our charities for this event are "From Our Hearts/Operation Write Home," who provide cards to military members, and "The Necessities Bag" organization which benefits Breast Cancer patients. It's going to be a FABULOUS weekend and I really hope you can join us! I am excited to play my part and share in several areas over the weekend, see demos from all over the area and meet new friends. All questions should be addressed to the organizers listed in the link above. Not a demonstrator? If you've been considering it, I invite you to attend the WI Stamper Regional Convention with me as my guest. Not only will you have a blast learning and stamping your way through the day, if you decide to sign up as a demo after the conference, I will write you a check for the registration fee as my welcome gift to our team. Through the Making a Difference program, launched in 2003, Stampin' Up! began a partnership with Ronald McDonald House Charities. Each year, they design an exclusive stamp set and donate a portion of the proceeds from the each sale of that set. To date, almost $100,000 has been donated just from RMHC stamp set sales. Awesome! You can help us make a difference! Purchase this year's set, Moving Forward, and SU will donate $3 to RMHC for each set purchased. It's super cute, and it's for a great cause! Can't beat that! One of the things I appreciate most about Stampin' Up is that they believe in making a difference in the lives of others--whether they're demonstrators, employees, the people who use our products, or children in need of a way to express their creativity. And Stampin' Up puts their money where their mouth is! It's not just a pretty saying on the wall of the home office. Since 2005, Stampin' Up! has been honored to participate in the TODAY Show's Holiday Toy Drive. This year, Stampin' Up! will be donating over $500,000 worth of stamping and paper crafting products. In conjunction with the donation, Stampin' Up! 's Shelli Gardner will make an appearance on NBC's TODAY Show on Tuesday, December 6. Be sure to tune in and watch Shelli with Hoda and Kathie Lee--it's always very short and she hardly gets a word in edgewise, but its fun to see! Shelli will be blogging about this fun (and somewhat nerve-wracking) experience in New York City. If you haven't been to her blog yet, it's a MUST! www.soshelli.com There are even challenges you can enter and win free stamp sets from her personally, whether you are a demonstrator or not! Today's Crop for a Cure was both well attended and fabulously fun! We had a wonderful time crafting our arms off, shopping, winning prizes, eating, and of course, lots and lots of chatting! This is Carol R. making her first papercrafting project ever! She came to sit and do her yarn work, and wound up getting totally hooked on the Make N Take. I'll have pictures of that later--forgot to take any today, wouldn't you know. Kathy N had a lovely visit with her grandbaby. I got to hold this little sweetie, too! We both agreed there's nothing like a chubby baby in an adorable froggie-footed sleeper for warming up your hands on a chilly day. Other daddies and kids came to visit during the day, too, including Jenny M's little girl, who had a great place to keep all her stickers. Isn't that just too funny? I'll have to send this photo to her mom to scrapbook. Here is a rare picture of Kim R--rare because she's the organizer of this wonderful annual event, and you don't catch her sitting down pretty much the whole day! The JDRF crop is especially important to her, because both of her kids have juvenile diabetes. Thanks for another awesome event, Kim! I hope we raised a LOT of money for this great cause! And here's a photo of the little gal who started it all--Amanda! What a great way to spend a rainy, COLD Saturday. I didn't get a whole lot done myself, but I did get all caught up with friends I haven't been able to spend much time with lately, and that was priceless. I hope you'll make it a priority to take a little time out for yourself to get together with friends--maybe not even craft necessarily, but just spend some time purposefully connecting. Friendship is precious, a piece of yourself, your time, your life. Give that gift to a friend today! Prayed for friends and family affected by cancer as I made this card today with the new Strength and Hope set from Stampin' Up (click here for details on the fundraiser and my special offer). What a wonderful thing it is to be able to touch someone's heart and make their day with a simple "thinking of you" card. We'll be making this Pink Pirouette textured long card (3x6) at my Fort Atkinson Create-A-Card Club tomorrow night, with Rose Red, Regal Rose and Pretty in Pink inks, the Paper Daisies, Basic Pearls, and the Top Note die for the Big Shot. You can't tell from the photo, but the butterfly is also gussied up with Illuminate Smooch Accent ink (page 195). I've been purposefully using this set with colors other than pink, to check out its versatility. I have been loving it, especially with dark colors like Perfect Plum and Not Quite Navy. However, it's very fun to make a little girly pink-pink-pink extravaganza! Stampin' Up is partnering with the Breast Cancer Research Foundation to donate $2 from each of the new Strength and Hope stamp sets and Digital Kits sold during the Summer Mini Catalog. Click on the link to view them online, or check out page 27 of your hard copy. Dedicated to cancer prevention and finding a cure for this disease which affects us all, the BCRF funds clinical and translational research worldwide. For more information on how you can help, visit www.bcrfcure.org. Here's my first card with this set. I embossed the butterfly in Whisper White EP on Baja Breeze DSP, then sponged Not Quite Navy over it to bring it out. We made a version of this in Calendar Club last month, and I'll be using it for Incredible Cards Club, Create A Card Club, and Calendar Club again this month, too. It's a great set and a great cause! Want another reason you should purchase Strength and Hope in May? The first five people to order Strength and Hope in either wood or clear, or the wonderful digital kit for My Digital Studio, will get a free Ribbon of Hope stamp from me (page 20 of the main catalog, value $7.95) when their order totals at least $20 before shipping and tax. I am offering this gift in honor of my Stampin' Up team member, Janis, who is currently keeping her chin up and sporting a great attitude as she undergoes treatment for breast cancer with grace and humor. God bless you with a speedy and complete recovery, my friend!